According to L.E.K. 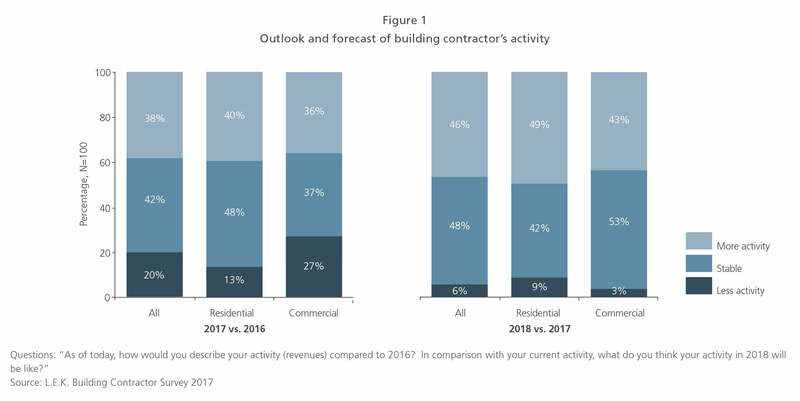 Consulting’s survey of 200 building contractors in France, the building industry is on track to continue its 2017 upward growth trajectory in 2018. 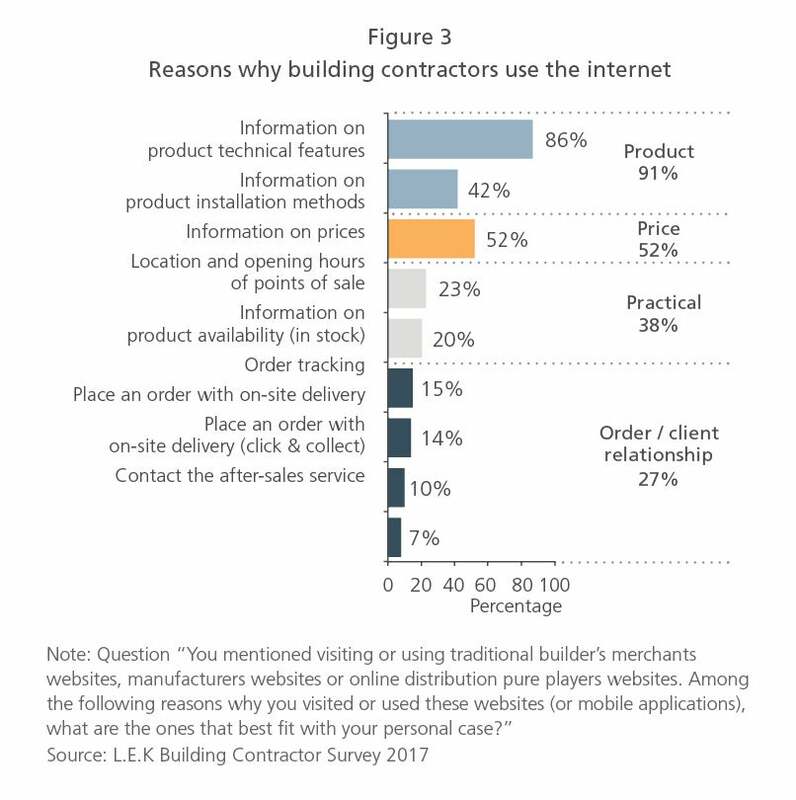 Against this backdrop, contractors still make little use of digital channels, with only a small proportion of purchases made online. 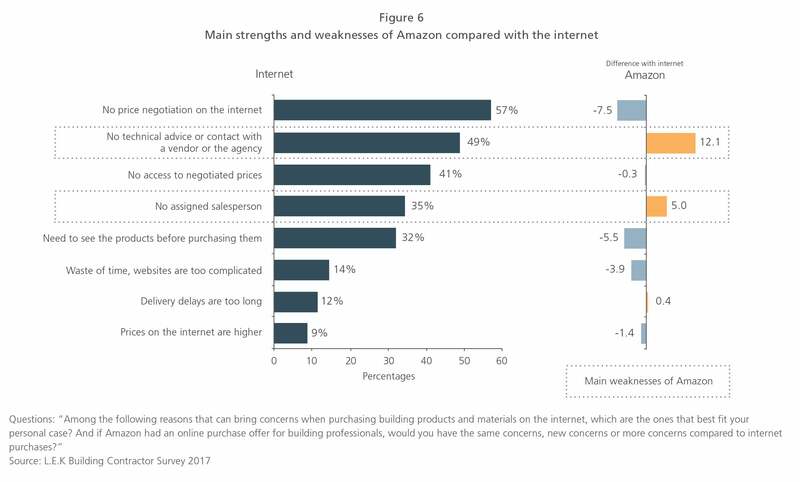 The players dealing exclusively in online sales have not yet found their place among the established bricks-and-mortar businesses. 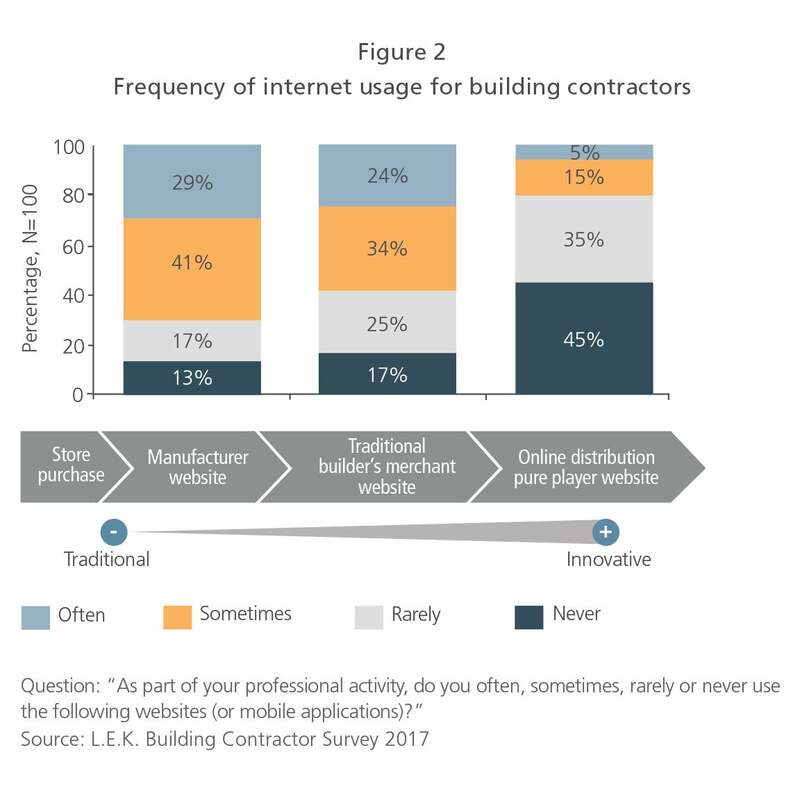 Online channels remain a largely underexploited growth opportunity, which should attract specialist online merchants. 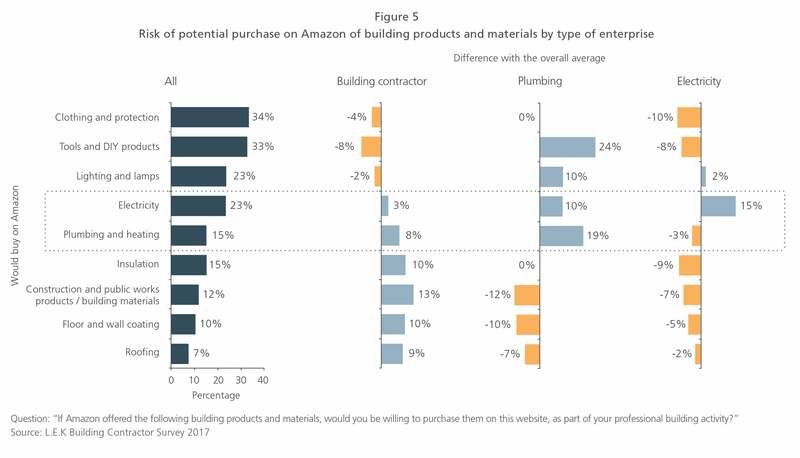 The leader among these is Amazon, which delivers more than 500,000 building-related products in the U.S. through its Amazon Supply offer. In this Executive Insights, L.E.K. 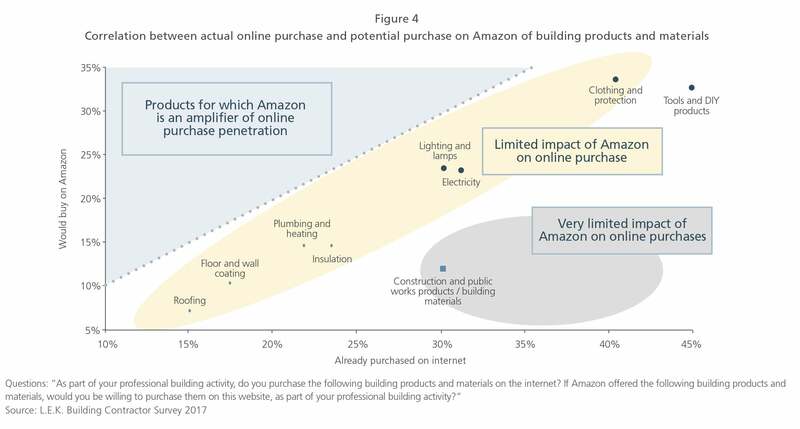 Consulting’s Maxime Julian, Frédéric Dessertine and David Danon-Boileau identify four levers that established building products manufacturers and merchants need to exploit to prepare for the advance of online-only business models.